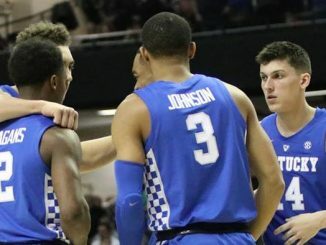 It was another night of the Kentucky defense throttling the life out of an opponent as the Cats battered South Carolina on Tuesday night. Next up for Kentucky is a trip to Starkville and Mississippi State. The Kentucky defense is just playing at a different level right now. South Carolina is a mid-level SEC squad, with a bona fide star in Chris Silva, yet the Wildcats absolutely crushed the Gamecocks last time out because the defense is just that good. 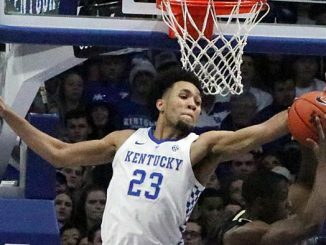 Kentucky held their visitors to just 35-percent from the field and a stunningly low 48 points for the game. The defense is working at every level, with the guards pressuring entry passes and the bigs getting in passing lanes to deflect balls away. The single biggest reason for the defensive output though is that teams cannot get open shots. This Kentucky team is so athletic that even if a player is beaten, they will be back in position to challenge before the shot is released. Mississippi State just simply isn’t good enough to beat Kentucky if the Wildcats have their defensive meters turned on in Starkville. Weatherspoon going off is the only real chance that the Bulldogs have to upset the Wildcats. Weatherspoon almost did enough for Mississippi State to upset LSU in an overtime loss early this week when he tool seemingly every shot while putting up 27 points. That makes it three out of his last four games where Weatherspoon has hit at least that number of points, pacing the team as the go to scorer. The problem that Weatherspoon will have is that Kentucky has proven to be very good at shutting down teams with one main scoring threat this season. The other player to watch will be Lamar Peters, a three-point specialist who has two games this season in which he has hit eight three-point shots. Unfortunately for MSU, Peters is in something of a slump and is 2-of-14 from deep coming into this one. Stop Weatherspoon. Deny space to Peters. That is how Kentucky wins this game in the first half. One of the most interesting aspects of this SEC run has been the number of players contributing in big ways. Nick Richard leads the Wildcats in blocks with 32 despite only playing 11 minutes per game. EJ Montgomery just put up the first double-double of his Kentucky career against South Carolina. Tyler Herro always seems to go off in road games. 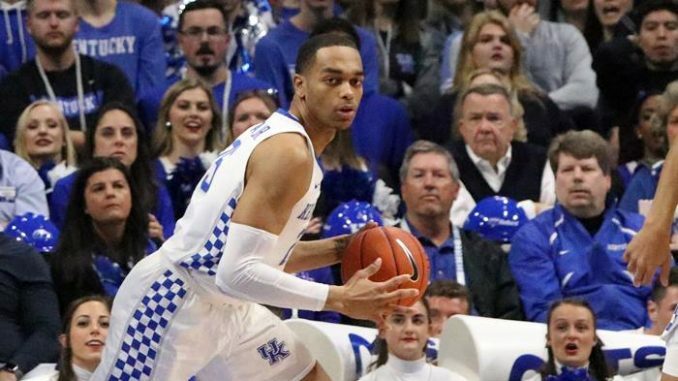 PJ Washington and Reid Travis are providing consistency at a high level and leadership for their teammates to follow. 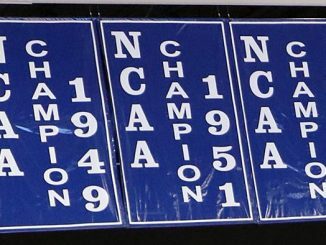 You cannot shut one aspect of this Kentucky team down and expect to win. If you focus on taking two things away an third and fourth option will appear. That is a recipe that will see the Cats playing deep into March.